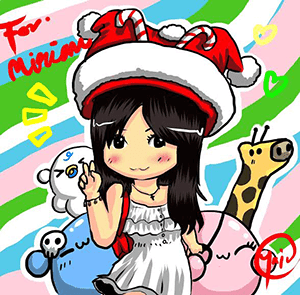 Happy holidays my dear merry goers! Sorry for the lack of updates these few days because I am back in Kuala Lumpur to celebrate not only my birthday but also Christmas! I love the Christmas season and my schedule has been packed to the brim from the day I touched down at KLIA. From making my own Dark Chocolate Rocky Road Chocolates to give out to my friends and family to meeting up with all my loved ones whom I missed dearly plus attending several events which I have been missing out the past few months. This includes the sneakpeak of the Clothes Buffet Malaysia Season 3 2016 where Poh Kong is one of the main sponsors! 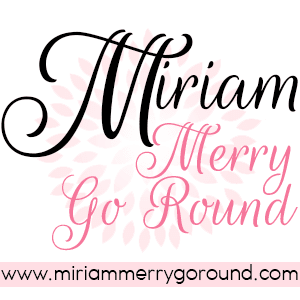 It's the year end and 2015 is coming to an end. To commemorate 2015, Poh Kong launched their Poh Kong Year End Festive Collection and oh my I must say they are extremely gorgeous and totally the best gift to give to your loved ones. These specially curated jewellery pieces will make you the centre of attention during all the Christmas and year end dinners to end 2015 with a blast! Tranz Nature's by Poh Kong captured the wonders and beauty of nature's splendours making them not only gorgeous nature inspired pieces but also a timeless piece you can immortalize for generations to come. 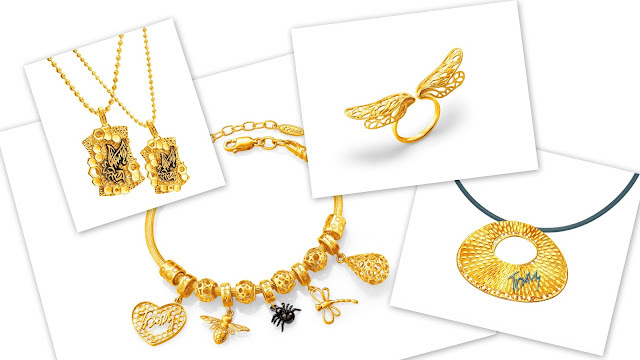 From honeybees to whimsical butterflies, this collection captures nature's beauty in gold and diamonds making it a hit for jewellery lovers. Not only that ANGEL™ Diamond by Poh Kong showcases a rare and alluring icon of light, a reflection of perfect light and pure brilliance and the most perfectly proportioned square diamond in the world. Cut only by the world’s finest diamond artisans with the most advanced diamond cutting technologies, the intricate designs of ANGEL™ Diamond is set to capture the heart of your angel. Among all the exquisite pieces in the collection, here are the TOP THREE pieces on my wishlist. So Santa, please make my dreams come true! Now let's see which three pieces were the strong contenders! 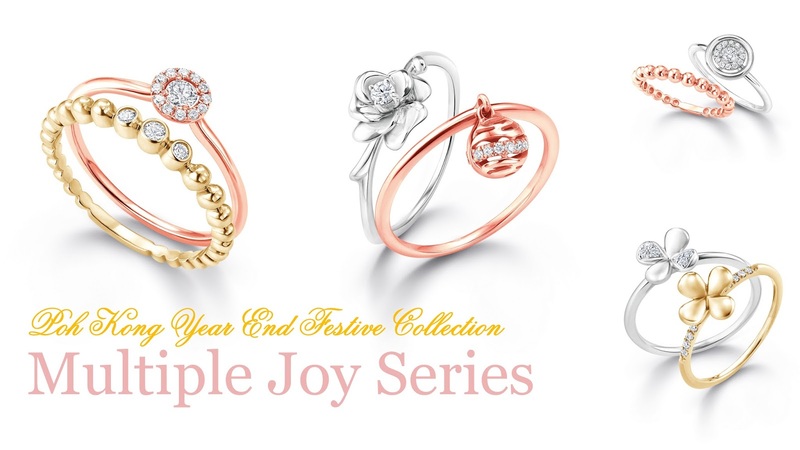 There are four different ring sets in the Multiple Joy Series and I can totally understand why they named it Multiple Joy. 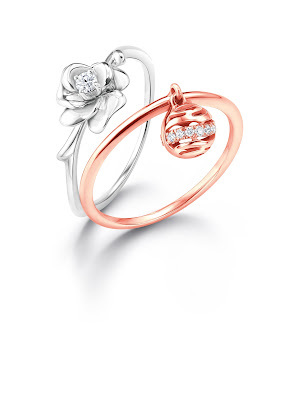 These rings are just so pretty! My eyes sparkled at the sight of them. I love how the rings are an assortment collection of gold white gold and definitely the current favourite rose gold all embedded with diamonds. 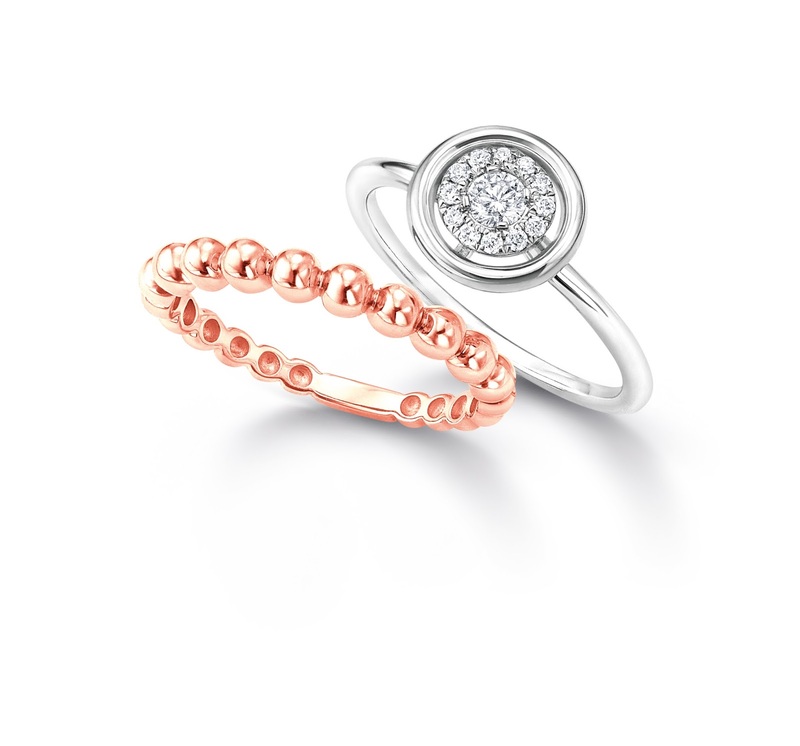 You can pair the ring sets or wear them seperately and match it best with your own personal styles. 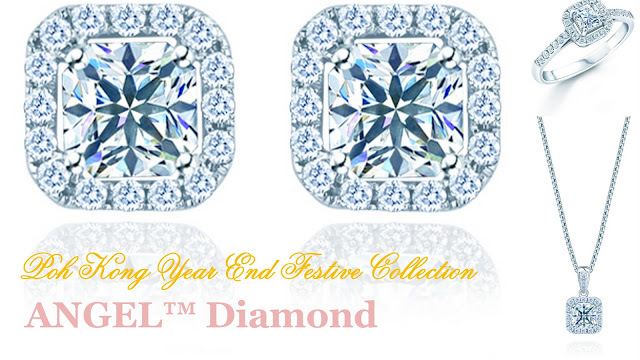 The Multiple Joy Series just exudes young and lively vibes going along well with this festive season. 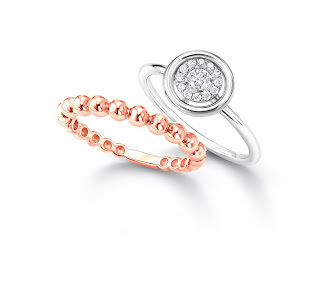 My heart was torn between selecting my favourite in the Multiple Joy Series but in the end my heart was drawn to this just gorgeous, simple and elegant ring set. 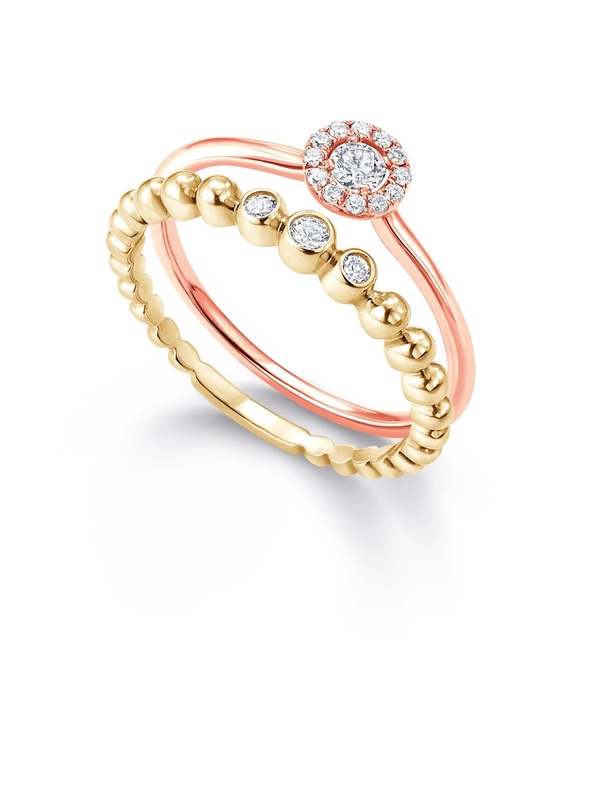 The rose gold is just to pretty to resist and I liked the simplicity of the diamonds embedded in it. The decision was a close call with this set which was so pretty I kept looking back and forth. I'm such a sucker for feminine pieces like this. Now that my fingers are well taken care of with the Multiple Joy Series time to adorn my ears to this just so eye-catching piece! That whimsical butterfly is just too pretty to resist and I am just out of words to describe the elegance in the earring. I am actually not a fan of chunky earrings which sometimes take away the attention from your dress but this piece is just subtle yet dazzling enough to accentuate your style for the night. 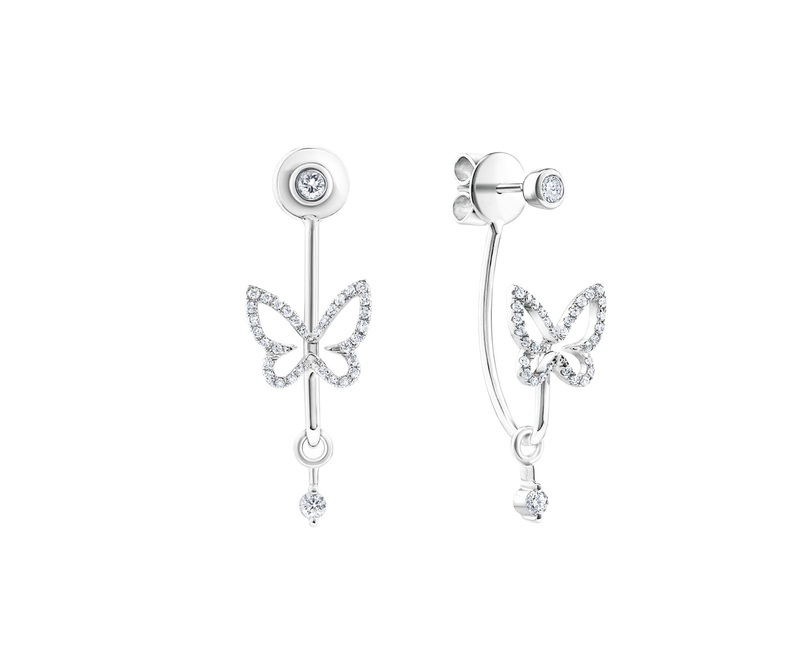 Unlike other earring designs, this butterfly design has a unique and creative manner of wearing which will give you that extra glow! Just tell me how can you not find this piece attractive! Lastly, lets have something to bring out the elegance of your evening dress. 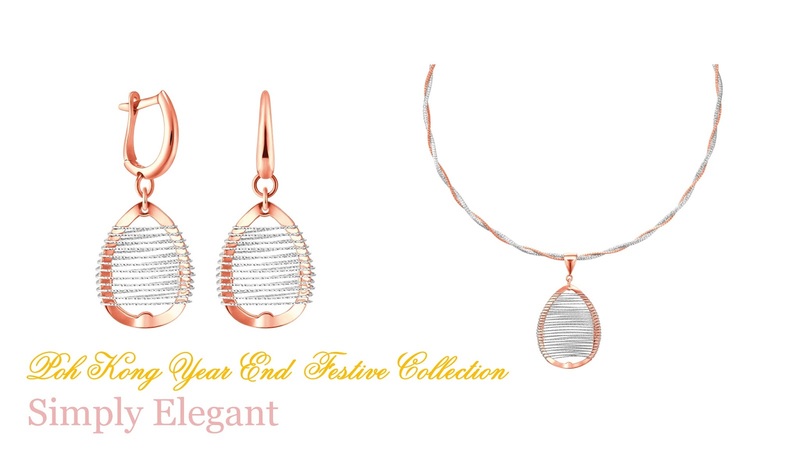 Among Poh Kong's Simple Elegant series, this neck piece attracted my attention with the rose gold pendant and earrings set that resembles an exquisite harp. 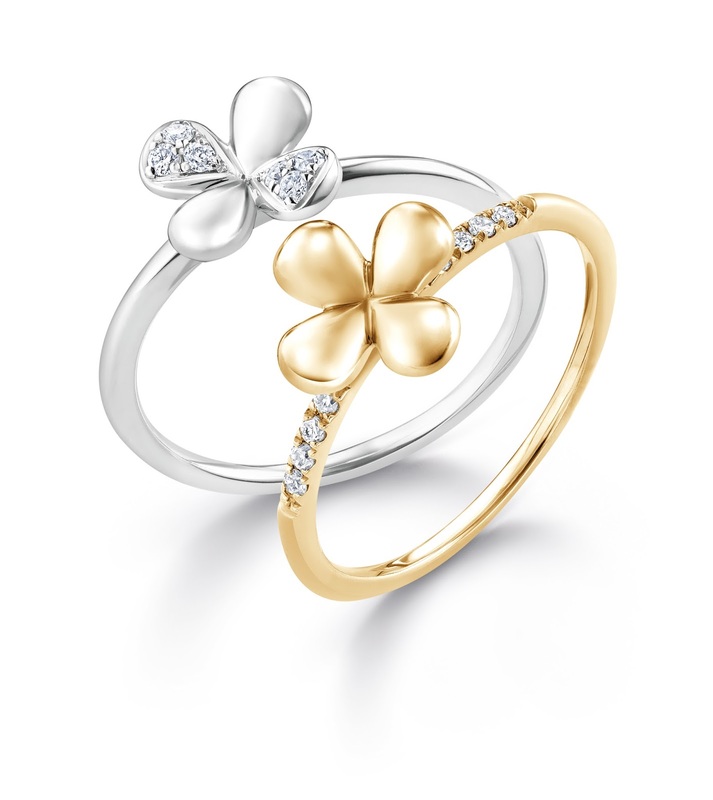 Just pair this piece with a long flowing gown or dress and you will be the star of the night. 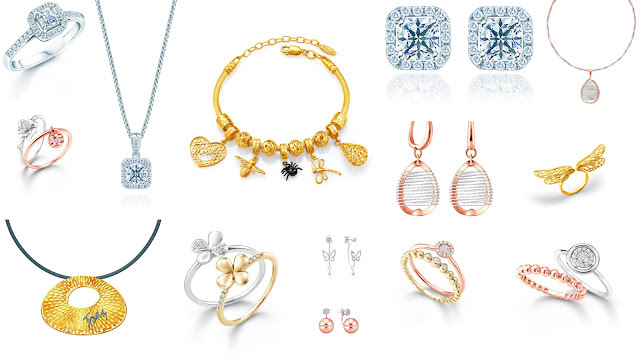 With so many different pieces from each collection, I had a difficult time selecting my Top Three favourite pieces and to those out there who are looking for gifts, these are really some amazing gifts that will make the receiver very happy. So be sure to drop by Poh Kong to embrace the New Year with Stylish Elegance! I like their Tranz collection especially the charm bangle. I love that charm bracelet... it is simply so gorgeous..
Poh Kong has come up with such amazing designs this year - the charm bracelets are exquisite! 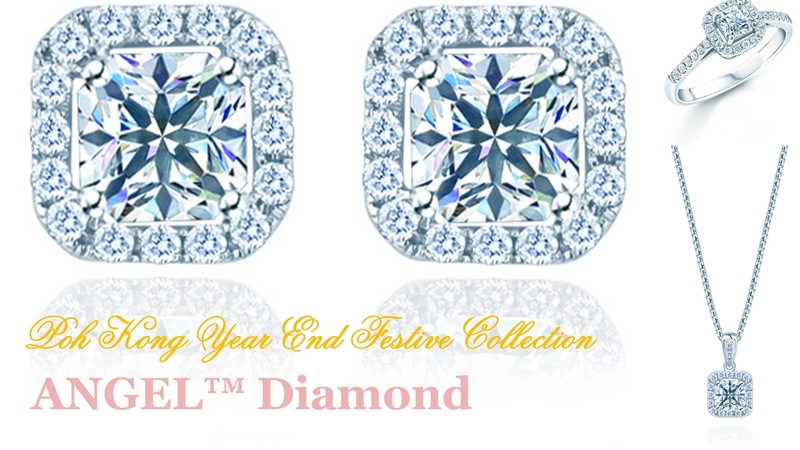 Multiple Joy Series Rings looks elegant. 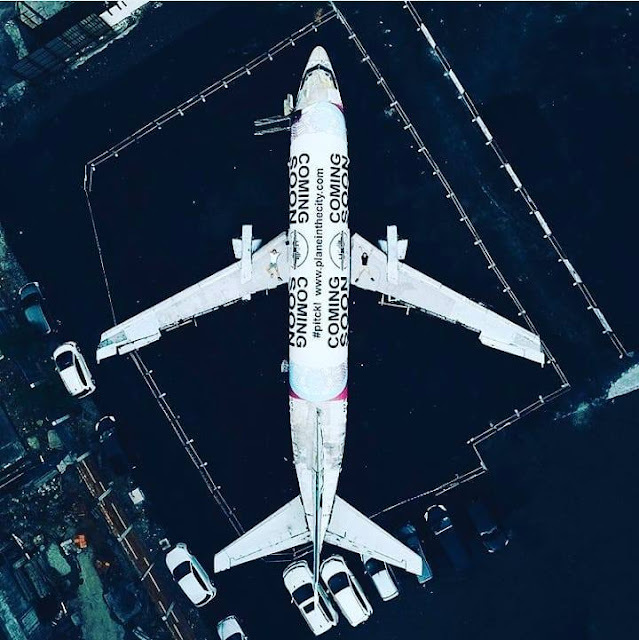 Love it so much. 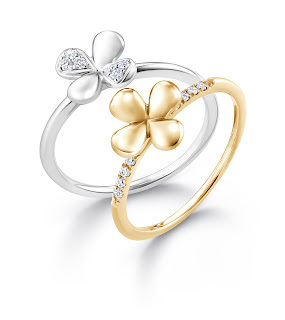 Can ask my hubby to buy for me as Valentines Day gift. pretty collections, hope to see u wearing them.